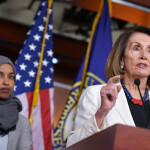 The House passed a resolution condemning anti-Semitism, Islamophobia and other forms of hate on Thursday, a move Democratic leaders hope ends a nasty and divisive chapter for their caucus. After a week of tumult and tension, House Democrats have released a resolution condemning both anti-Semitism and Islamophobia. 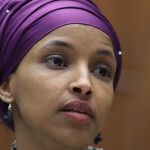 The work is a careful compromise after freshman Rep. Ilhan Omar’s (D-MN) controversial comments about Israel supporters drew charges of anti-Semitism, and House Speaker Nancy Pelosi’s (D-CA) push for a resolution condemning anti-Semitism was met with blowback from progressive and black Democrats furious that it singled out Omar while ignoring other forms of hatred. It will likely fail to please some on both sides of the fight — some Jewish Democratic members have expressed frustration that the newer versions were watered down. But it could help Democrats move past a nasty and divisive episode once they vote on the resolution Thursday afternoon. Sen. Sherrod Brown (D-OH) won’t run for president after all, he announced Thursday. The move comes as a surprise — Brown had built out a campaign team and had been touring early-voting states on his “Dignity of Work” tour in recent weeks. But he’d failed to gain much traction in the race so far, polling in the low single digits in most public polls. Brown’s decision against a run removes an intriguing candidate from the field — albeit one who’s not very well-known outside of his home state. 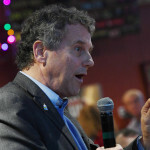 Brown, a fierce populist, won reelection in Ohio last fall even as every other Democratic statewide candidate fell far short, and has a proven track record of winning white working-class voters and carrying a Midwestern state that has moved hard towards the GOP in recent years. He’d done so while developing a consistently progressive record in Congress on both economic and social issues over three decades, standing as an early supporter of gay marriage and opponent of the war in Iraq while battling free trade agreements like NAFTA that have grown increasingly unpopular across the ideological spectrum. A number of Republicans had privately told TPM that Brown was the candidate they most feared facing as a nominee. But Brown was facing a tough route to the nomination — with other top-tier candidates pulling the types of voters he’d need to win. 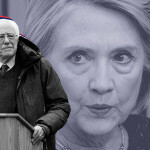 Sen. Bernie Sanders (I-VT) has strong appeal with populist-minded economic liberals, while former Vice President Joe Biden, who’s expected to announce a presidential campaign in the coming weeks, has strong name recognition and popularity with white working-class voters. House Speaker Nancy Pelosi (D-CA) said Thursday that freshman Rep. Ilhan Omar (D-MN) still doesn’t understand why some people are so upset with her controversial remarks about Israel that many took as anti-Semitic. 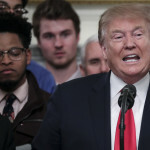 House Democrats are moving toward a Thursday vote on a resolution condemning hate speech against Jews and other groups after days of internal tensions and infighting surrounding controversial remarks from Rep. Ilhan Omar (D-MN), House leaders announced Thursday. 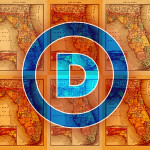 Can Democrats Finally Fix Their Nagging Florida Problem In Time For 2020? Nikki Fried headed into Election Day last fall with a spring in her step. Some top Democrats won’t stop picking at the scabs of 2016, making others in the party nervous about an intra-party bloodletting that could hurt their chances of defeating President Trump next year. Wealthy former New York City Mayor Michael Bloomberg won’t run for president, he announced Tuesday afternoon. A strong majority of voters believe President Trump has committed crimes before he became president and a plurality believe he’s committed crimes since his inauguration, according to a new survey from a reputable national pollster. 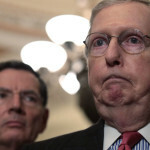 Senate Majority Leader Mitch McConnell (R-KY) made it clear on Tuesday that he’s not going to bend over backwards to try to help President Trump protect his border wall emergency declaration.